Nickl & Partner Architekten AG has successfully participated in the realisation competition for the construction of a new Chemical Institute and Technical Centre and was awarded the fourth prize for its design. 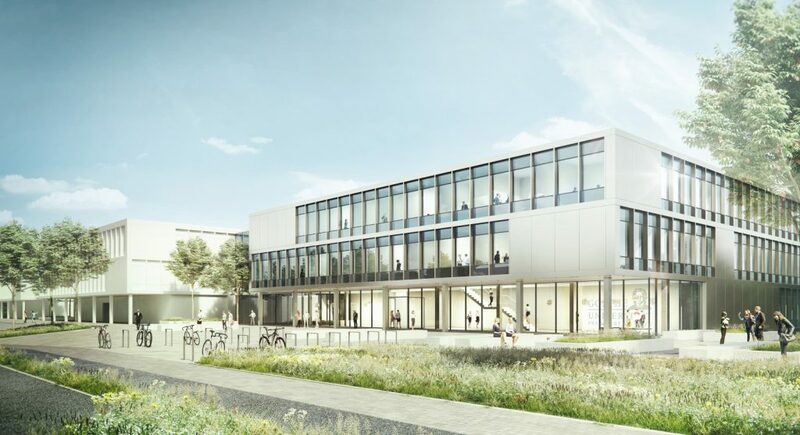 The Riedberg campus of Goethe University Frankfurt is to be expanded by a new research cluster, which is to comprise teaching and research buildings as well as a car park and a technical centre. The objective of Nickl & Partner Architekten AG’s design was to add a structured backbone in the form of a new research cluster to the heterogeneously grown campus. The design for the competition consists of five modules: three teaching and research buildings, a car park and a technical centre. The concept is based on a very simple and clear layout and routing as well as a compact and simply structured building, which ensures a high room quality through natural lighting and inviting communication areas. We are pleased to have won the fourth prize in this competition.